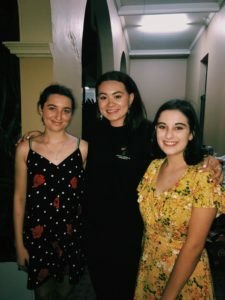 Since 2016, Felicity Jones has been the Youth Coordinator for The Hive Youth & Young Adults Ministry within the Ipswich Parish, planning and preparing their youth group nights and events for the high schoolers in their community. She has been a part of the Ipswich Catholic Community since commencing her secondary education in one of the parish schools in 2011. Felicity is so grateful to journey alongside the young people of the parish, as together they grow closer to God and to each other. 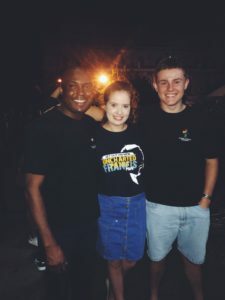 Her favourite thing about youth ministry is its ability to reach out to young people of all backgrounds and upbringings, as we all come together for one purpose – to know God. I am thrilled to be the high school youth coordinator of The Hive Youth & Young Adults Ministry for St Mary’s Parish, Ipswich. The Hive has been running in the parish since 2015, where I was first a participant before joining the leadership team in 2016. The Hive has grown so much over these past few years, and it is incredible seeing how much can happen in just 365 days. When Pope Francis announced 2018 as the Year of Youth, we were super excited for all the possibilities that lay ahead of us for this special year. One of the biggest things we were excited about was the involvement of our wonderful community. 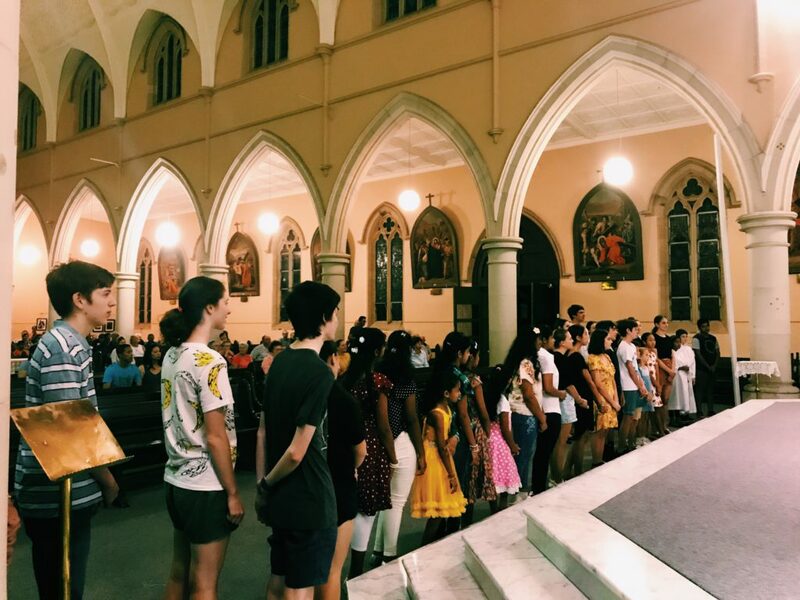 We wanted to see the young people of the Ipswich Catholic Community participating at Masses, community events, and fundraisers. We wanted to connect with all of the loving parishioners who had supported us so much over the years. It began at the event that kicked off our year – our Year of Youth Launch. The lead up to the event had gone super smoothly. Everything was set up perfectly and St Mary’s Church was full of beaming faces. Suddenly, the loudest, scariest crack of thunder sounded above us. The wind outside was blowing like crazy. It was almost as if the church was shaking! My stomach completely dropped as I thought of the community BBQ we had planned after Mass. What could we do? Our Parish Priest, Fr Stephen Bliss, calmly said that everything would work itself out. We had parents and parishioners alike running around outside in the wind moving the BBQ and all its supplies undercover. The sense of community was so empowering. The Mass was beautiful, and the BBQ that followed was a huge success. It would not have been possible without the kindness of the Ipswich community. 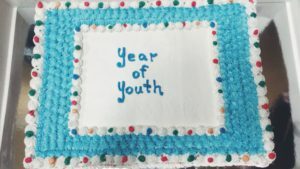 We are extremely lucky to be part of something so special, and hope to continue building connections throughout the rest of the Year of Youth and beyond.